Annotation: Part craft book, part activity book, Duct Tape Mania! offers hours of creative fun for boys and girls of all ages! 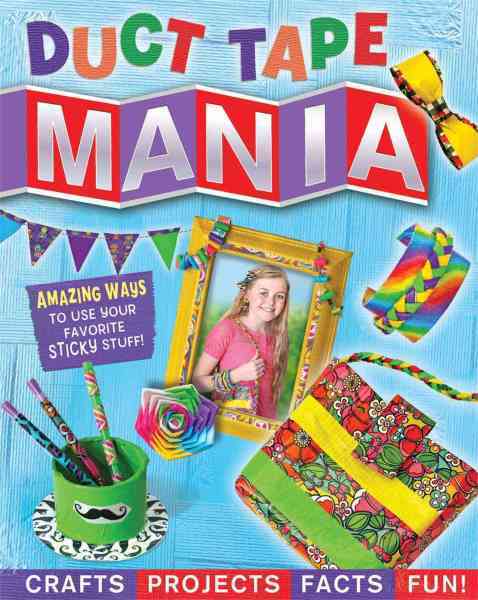 This book is packed with ways to create all kinds of accessories, jewelry, bags, decorations, fix-its, and more with little more than a roll of tape. Peppered through the pages are fun and interesting facts and trivia about the amazing duct tape.